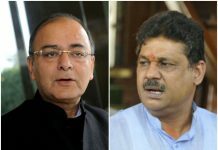 The Enforcement Directorate is conducting searches in many cities, including Delhi, Jaipur and Mumbai, in connection with the money laundering probe in the IPL. 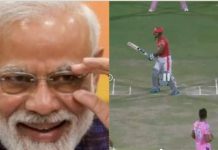 Based on leads obtained following the arrest of two alleged bookies during raids on Friday, ED has placed at least three matches of this year’s Indian Premier League under scrutiny, as reported by The Indian Express. Those arrested by ED’s Ahemdabad unit on Friday, have been identified as Mukesh Sharma and Sukhvinder Singh Sodhi, who were, allegedly, steering money to UK using online betting website betfair.com. 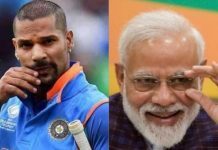 ED officials said that Sharma and Sodhi had ‘master log in’ through which they channeled betting accounts to various bookies across the country. The investigation is being handled by the ED’s Ahmedabad office which is probing the case for hawala and money laundering charges. A team of over 30 officials is conducting nationwide searches. The searches are intended at investigating the top associations which are active in betting in matches in the just concluded IPL. The searches that took place earlier this month were largely in the national capital and its adjoining areas. Over Rs.26 lakh was recovered apart from a cache of computer peripherals, mobiles and hard drives during these raids. Also, in March this year, the Ahmedabad office of the ED claimed to have busted the alleged betting racket and arrested some bookies from a farmhouse on the outskirts of Vadodara city in Gujarat.